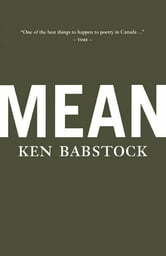 Mean is a stunning exploration of the threshold and divide between our primeval origins and the meanness of our everyday lives. In this collection, the pastoral collides with the concrete terrain of motorbikes, prisons, and chainlink to capture our constructed isolation and our buried, yet resonant, connection to the land and seascapes that surround us. 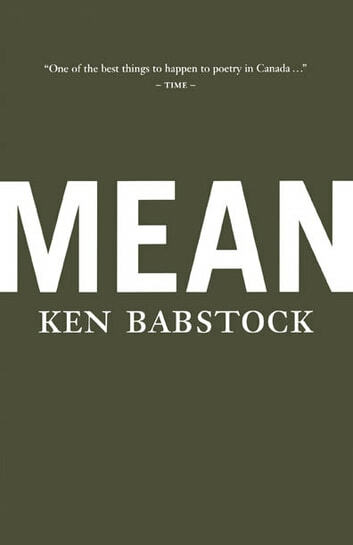 Ken Babstock's poetic voice is wholly original -- searing and pure in its realism, evocative and affecting in its search for a place to call its own. Mean won the Atlantic Poetry Prize (1999) and the Milton Acorn People's Poetry Award (1999).